The latest version of the game which has set a new standard for falling-block puzzles for smartphones! 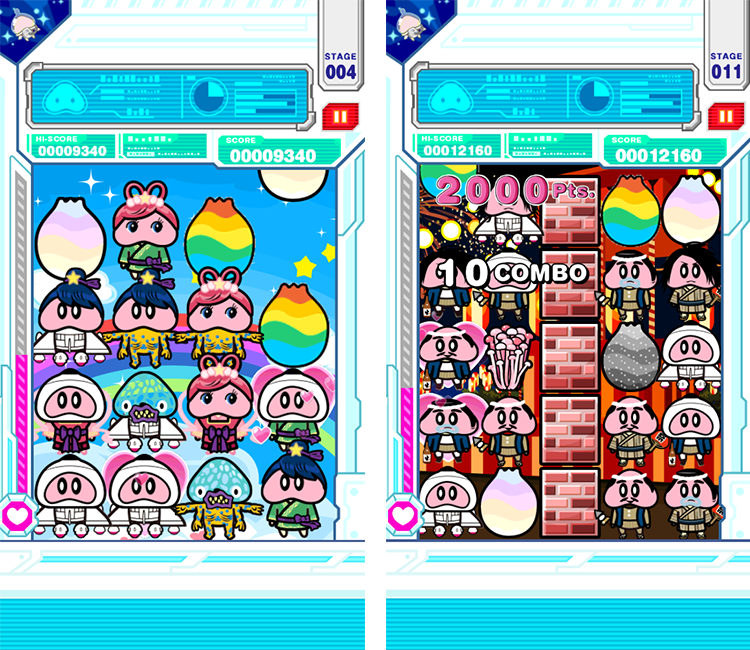 The symbol of love Konchi’s serious puzzle game “LOVE LOVE KONCHI 2” is now available! The previous version had over 330 thousand downloads on Android devices alone not only in Japan but also in countries such as Thailand, Taiwan, Indonesia, Malaysia, the U.S., Hong Kong, Spain, and Singapore! Players are captivated by it before they know it as chain reactions occur very easily! Peel the eggshell and cause chain reactions! Konchi is KAYAC’s original character and a very cute symbol of love. See here for more about Konchi! “yaCreepy” series was mentioned in Mashable as one of ten weird iPhone games! Kayac released the new shooting game Shoot The Monsters!